Hi everone. I've rarely posted about the E71 white edition here at the blog, I'm not even sure how long the white E71 NAM version has been available. But I was searching on Amazon.com today and noticed their selling it for $421 dollars. Not a bad deal considering it comes with the 1 year warranty and the security of hassle free returns from Amazon. Click here to see this deal. Don't forget to upgrade your E71 memory to 8gb. Right now you can get the SanDisk 8gb microSD & card reader for about $38. I highly recommend getting the card reader - the file transfers are like 10 times faster than just using the usb cord with the E71. 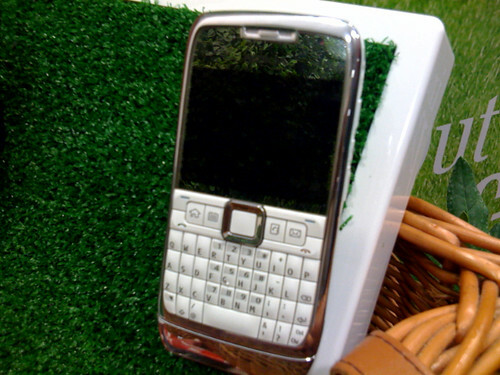 Do any of you already have the E71 white version? How do you like it so far?